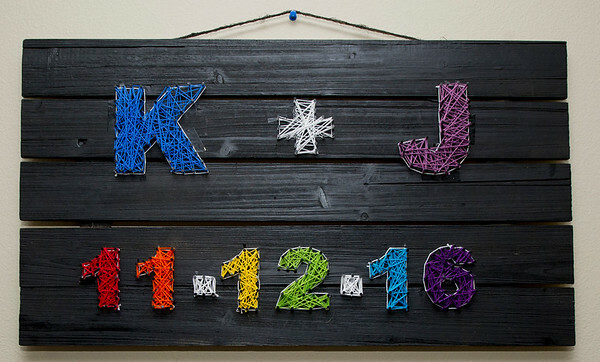 A string art plaque that celebrates the marriage of Kris Hartley and Jennifer Howell hangs on a wall in their Duquesne home last week. The couple were recently married in Eureka Springs, Ark. and are concerned how they will be affected by the new administration.